OK time for something practical. I promise this post will be a simpler topic – How to lose weight. So there are many strategies to lose weight, but I’m going to talk about Keto (AKA Nutritional Ketosis) which is the most successful strategy I’ve found for my own metabolism – which as you may know is Type 2 Diabetic. I know plenty of people who don’t have a problem with Glucose who have still been very successful on Keto, but for people with Insulin resistance/Glucose intolerance/Obesity (Which are mostly the same thing) there is none better that I know of. You don’t have to share this with anyone else, but don’t BS yourself – this is how you keep true to yourself. Write down everything you eat every day. It’s even worth doing it while you are still making your mind up if you will go on a diet. The very act of keeping a diary will force you to think holistically about how you eat rather than just the calories in the meal in front of you. I personally use the online food diary MyFitnessPal because it has a pretty good database of foods so the act of recording a meal takes merely a few seconds each day. 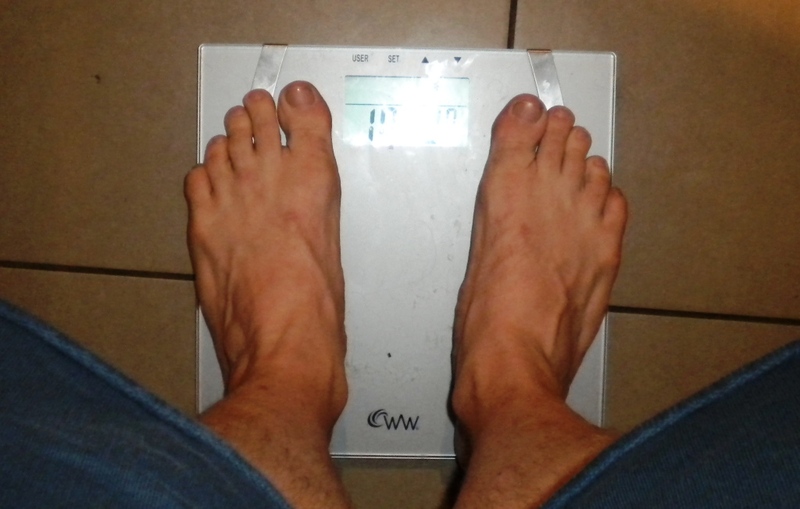 As I write this I am currently in my 280th day of recording every macro-macronutrient and essential micronutrient. I can tell you for example that in the past 90 days I have only 5 days where I consumed less than 100% of the daily requirements of Vitamin C, and in the past 90 days I have eaten a food containing trans fats only 3 times. Everyone’s Macros will be different based on their age, gender, size and exercise levels but there are some online tools that will help you calculate it easily. The Keto Calculator is an excellent resource that will step you through some simple questions and give you not only your ideal Macro ratio to lose weight, but a predictive chart of how you will lose the weight. I set my anticipated daily Calories to 2000 kCal/day and it told me I was attempting a significant calorie deficit at -40% – but the predicted weight tracked my actual weight until my first plateau. You won’t lose weight every day, sometimes your progress might stall for weeks before you start losing again and it helps to have a community of people to reach out to, to share successes and frustrations. One that I use a lot is Reddit. There are 134,336 people subscribed to the Reddit Keto community and it is an excellent resource for support, advice, tips, and recipes. Read the FAQ, and check out the resources, and celebrate the successes of strangers. The bottom line? To change, you have to create new habits. Committing to a food diary, and cooking my own food provided the framework for my personal change.